Friday 26th to Sunday 28th of October 2018. Join us for 12 hours of dedicated karate training that will take your karate to the next level. We will be covering principles of movement, kata technique and application, kumite drills and much more. 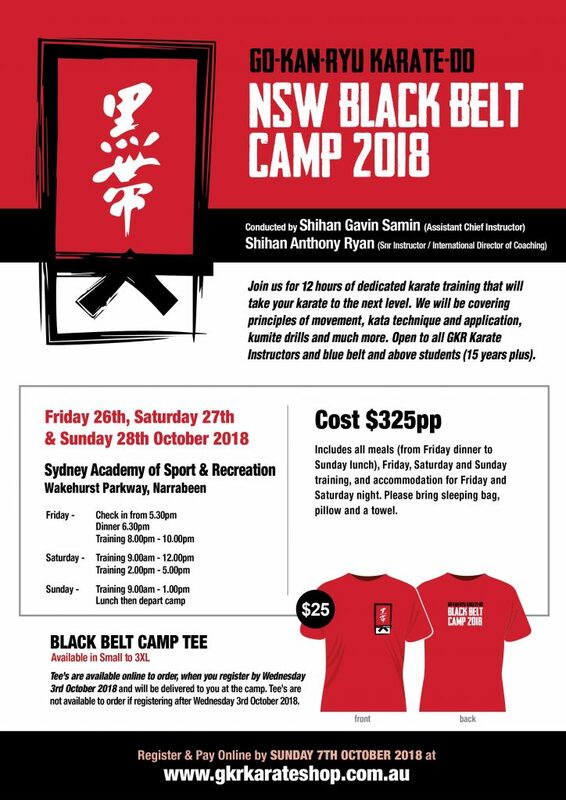 Open to all GKR Karate Instructors and blue belt students and above (15 years plus).